Outlier or anomaly detection in large graph data sets is a fundamental task in data science, with broad applications. In this talk, I will present three novel frameworks we have developed with our collaborators for graph anomaly analysis: (i) Graph OLAP. Graph OLAP aims to provide a systematic framework to perform composite structure and information analysis in networks. (ii) Graph Anomaly. Under this term, we have developed a few interesting concepts such as graph iceberg, structural correlation, graph association and aggregation. (iii) Query-based Outlier Detection. As users have their own intuition about which kind of outliers they are interested in, a system shall allow users to specify outlier queries flexibly. I will introduce the concept of query-based outlier in heterogeneous information networks and a declarative query language. In the end of my talk, I will discuss a few existing problems on graph anomaly detection. This talk will present RAPT, a new predictive modeling framework for identifying rare classes in complete absence of labeled data. The RAPT framework is designed to use imperfectly annotated training data to learn classification models in the absence of expert-annotated training samples. Our results show that, under some reasonable assumptions, the classifiers trained from imperfectly labeled training data using the RAPT approach have performance comparable to the classification models trained using expert-annotated training data. This capability of learning from imperfect supervision is advantageous in a wide range of applications where the target class of interest is relatively rare and obtaining a precise labeling of even a small number of training samples is infeasible. The talk will present the application of the RAPT framework for creating historical maps of forest fires from satellite data for the tropical forests. This new forest fire product identifies approximately 1 million sq. km. of burned areas in the tropical forests in South America and South-east Asia during years 2001-2014, which is more than double of the total burned area reported by the state-of-art NASA products. We show validation of these results using burn-scars visible in satellite images, including high resolution Landsat images, to confirm the veracity of the previously unreported forest fires. Here is the list of discussion questions. ODDx3 is a full-day workshop, organized in conjunction with ACM SIGKDD 2015. The main goal of the ODD workshop is to bring together academics, industry and government researchers and practitioners to discuss and reflect on outlier mining challenges. Specifically, the 1st ODD workshop (2013) focused on outlier detection and description, with particular emphasis on descriptive methods that could help make sense of the detected outliers. The 2nd ODD^2 workshop (2014) extended the focus areas to outlier detection and description under data diversity, with emphasis on challenges associated with mining outliers in heterogeneous data environments (graphs, text, streams, metadata, etc.). How can we define an anomaly in heterogeneous data environments? How do different definitions translate to real world applications (spam, fraud, etc.)? How can real world scenarios help shape new anomaly definitions? How can we build descriptive detection methods? How could data visualization aid anomaly mining? We are proud to have Vipin Kumar and Xifeng Yan as our keynote speakers. 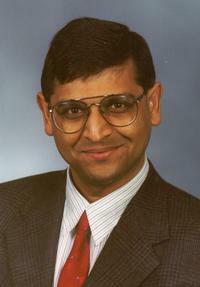 Vipin Kumar is a William Norris Professor and Head of the Computer Science and Engineering Department at the University of Minnesota. Dr. Kumar's research interests include data mining, high-performance computing, and their applications in Climate/Ecosystems and Biomedical domains. His research has resulted in the development of the concept of isoefficiency metric for evaluating the scalability of parallel algorithms, as well as highly efficient parallel algorithms and software for sparse matrix factorization (PSPASES) and graph partitioning (METIS, ParMetis, hMetis). He has authored over 300 research articles, and has coedited or coauthored 11 books including widely used text books ``Introduction to Parallel Computing'' and ``Introduction to Data Mining''. Dr. Kumar co-founded SIAM International Conference on Data Mining and served as a founding co-editor-in-chief of Journal of Statistical Analysis and Data Mining (an official journal of the American Statistical Association). Dr. Kumar is a Fellow of the ACM, IEEE and AAAS. Kumar's foundational research in data mining and its applications to scientific data was honored by the ACM SIGKDD 2012 Innovation Award, which is the highest award for technical excellence in the field of Knowledge Discovery and Data Mining (KDD). His h-index is 90. Xifeng Yan is an associate professor at the University of California at Santa Barbara. He holds the Venkatesh Narayanamurti Chair of Computer Science. He received his Ph.D. degree in Computer Science from the University of Illinois at Urbana-Champaign in 2006. He was a research staff member at the IBM T. J. Watson Research Center between 2006 and 2008. He has been working on modeling, managing, and mining graphs in information networks, computer systems, social media and bioinformatics. His works were extensively referenced, with over 9,000 citations per Google Scholar and thousands of software downloads. 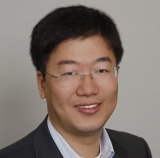 He received NSF CAREER Award, IBM Invention Achievement Award, ACM-SIGMOD Dissertation Runner-Up Award, and IEEE ICDM 10-year Highest Impact Paper Award. Each keynote will be 45 minutes long, including questions. ODDx3 Panel: "What is an anomaly?" Despite its immense popularity, anomaly mining remains an extremely challenging task for many real world applications. For many practitioners, the task is poorly defined and under-specified as existing definitions and solutions have been often too simplistic and do not directly correspond to the needs of modern applications. The first goal of the panel is to have people from various domains (or people who heavily collaborate with such) to describe the kind of anomaly problems they are facing with in the real world. The second goal is then to try to tie existing definitions in the literature to those encountered in the real world, and if no appropriate definitions exist, try to brainstorm possible new formulations. To kick-start the panel discussions, we will introduce typical scenarios and use cases from various domains; including network intrusion, insider trading, bank fraud, medical referral fraud, opinion spam, Web spam, computer malware dissemination, social malware, etc. The panelists will then elaborate on these scenarios with possible formulations and approaches. We expect these discussions to spark ideas as to how existing approaches for one problem domain (e.g. bank fraud) can be applied to those in other domains (e.g. medicare fraud). The papers should be in PDF format and submitted via the following EasyChair submission site. Accepted papers will be included in the KDD 2015 Digital Proceedings, and made available in the ACM Digital Library. Mykola Pechenizkiy, Eindhoven U. of Tech. The ODDx3 Workshop is organized in conjunction with ACM SIGKDD 2015.